We had a pretty large quake last night – everyone OK here, but a bit of a shock. The cats weren’t too happy either and after fleeing the house at high speed they spent most of the night hiding outside unwilling to come back in. Still getting considerable number of aftershocks, some of them quite strong. Minimal damage thankfully. Really happy we bolted the TV to the wall a while back with a really solid bracket. We were dangerously close to having the iMac fly off the desk however, I think the only thing that saved it was that it was trying to go in the opposite direction of the power cord. 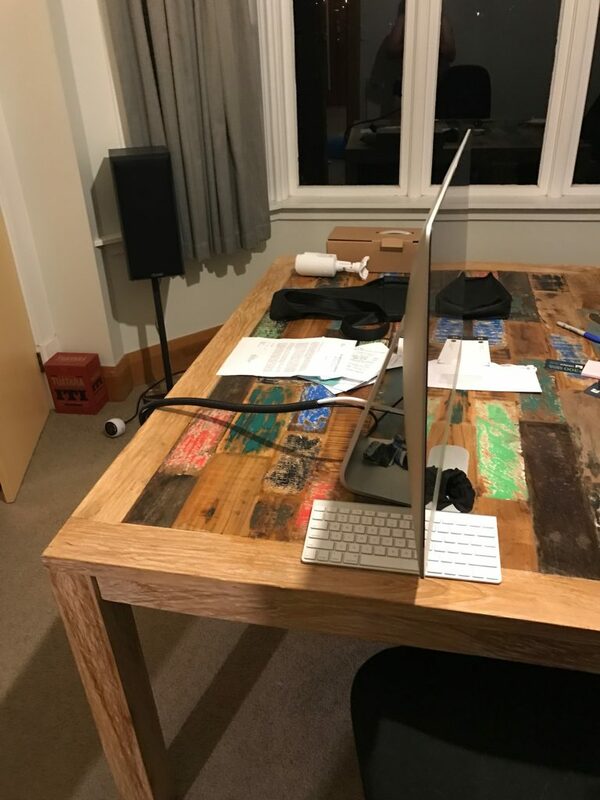 Surprised that the speakers stayed upright since they aren’t bolted to the floor, but they did OK.
Hey man, glad that your and family are safe from the Quake. Hopefully “data’ didn’t lost from the quake.